Everyone loves Instagram. The filters that make you look so pretty and then there is the charm of getting a large number of followers, likes, and comments too. Along with Facebook, Instagram has become quite a popular social platform for tween and teens alike. 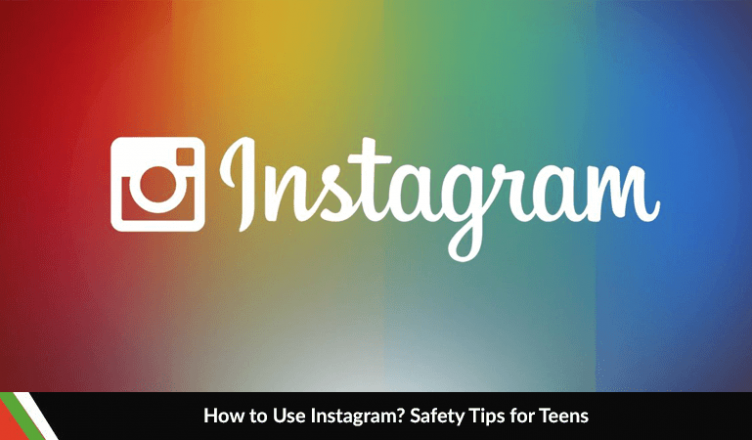 But, Instagram can be but risky and problematic for children. From inappropriate images and comments to hate speech and cyberbullying, there is everything on Instagram. Everyone faces online harassment at some point on the Internet. Online harassment and stalking even can get out of hands sometimes. People can search all about you from your name. And if you keep all your private information in a public setting, then anyone can come to your school, where you work, and even your current location. Keep your personal information private and avoid using a public profile as you never know what people can do with your pictures, information, and other data. Instagram comes with the option of such privacy settings with the help of which, you can determine who gets to follow you. Sending out request is the only way to follow an Instagram account if you have the privacy settings are in place. Having a private profile is much safer and better than a public profile. This way, only those people can follow you whose request you approve of. Without privacy settings, anyone can search your profile and find your pictures. You can keep your data and pictures safe if you turn on the privacy settings. Also, your account remains safe from unwanted followers otherwise anyone can search your profile by name and find your pictures. You can also share your location information on Instagram. Also, you can add the location of where you took the picture. When you choose this particular setting, you can tag your picture to anything you wish but if you click on that location after posting the picture, the app will bring you to a map and on that map, in the shape of a small dot, you will see exactly where you took that picture. If you are not careful, pedophiles, sexual predators, and stalkers can easily get hold of such information. Turn off your location settings on the app in the settings to be safe from such people as you never know who might use this information against you. Whether you are a 12-year-old or an adolescent, if you are on Instagram, see that your parents know things. Make sure that you can talk to them and reach out to them if you need help. Cyberbullying, body-shaming, and hate speech are quite the norm and hundreds of people suffer because of it and even lost their lives. The saddest thing is that more often than not, the parents had no idea. Make sure that you take your parents in the loop about what is happening in your digital life. Teens might see it as an invasion of privacy to have their parents check their phones but, adults know more than us. We need their guidance and support if things go wrong. So, it is better to have your parents know what you do on the Internet so you can ask for help whenever you need it. As parents, it is your responsibility that you are aware of your kid’s activities and digital life. Most of the time, if a teen is being harassed on the Internet, they don’t want their parents to know about it and want to deal with it on their own. Some think that their parents cannot do anything. In amidst of all this, it is hard for parents to know what is happening exactly. Your child might be going through something and not telling you about it. Like any other social media platform, Instagram also has its cons. See that if you allow your child on any such app, you take a periodic check to ensure that they are safe and everything is under control. If there is a reason for you to ban your child from using an app, tell them why. Because it is normal for teens to get attracted to things their parents don’t approve of. They might even download it again and keep it a secret from you. It is important that you develop a trusting relationship with your children so that when you tell them something is off-limits, they believe you. Trust is important and only then you and your children can communicate well.